The Information Technology University (ITU) Punjab is all set to participate in a two days Education Expo being held on May 10 and 11 at Pak China Friendship Center Islamabad. An attractive stall of ITU at Islamabad Education Expo supported by the presence of world class faculty from MIT, Stanford, Carnegie, Mellon, California Institute of Technology, Cornell, Cambridge, Oxford and National University of Singapore (NSU). Dr. Umar Saif, world’s renowned computer scientist and inventor is the founding Vice Chancellor of ITU. ITU offers generous merit and need based scholarships and also provides undergraduates and graduates scholarships. ITU is recognized by the Higher Education Commission (HEC) of Pakistan and Pakistan Engineering Council (PEC). ITU is presently opening process of admission for graduate programs including MS Computer Science, MS Electrical Engineering, MS Development Studies, Executive MBA (EMBITE), PhD Computer Science and PhD Electrical Engineering. For Graduate Programs test registration last date is June 2, 2017 while for Undergraduates test registration deadline date is July 5, 2017. It is expected that ITU Stall at Islamabad Education Expo will attract a large number of students in view of the world class faculty along with modern labs and techniques in an conducive atmosphere housed in the country’s state of the art tower Arfa Software Technology Park, Lahore. 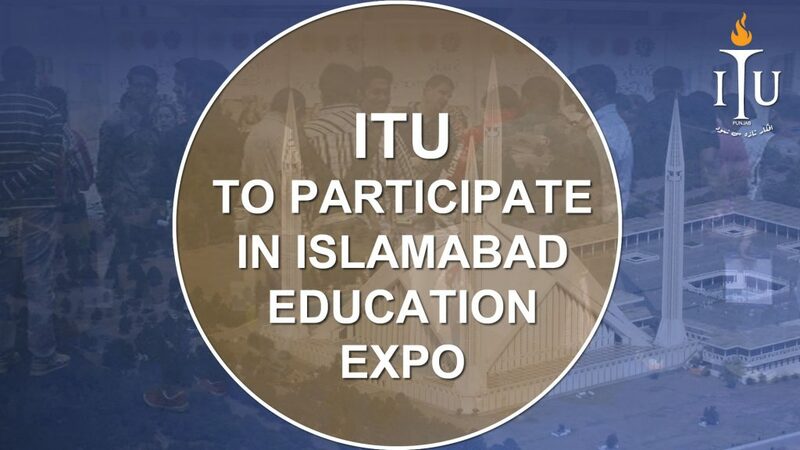 Share the post "ITU ALL SET TO PARTICIPATE ISLAMABAD EDUCATION EXPO"